After the first week back at work after the New Year, it is quite a pleasure that the weekend is among us. 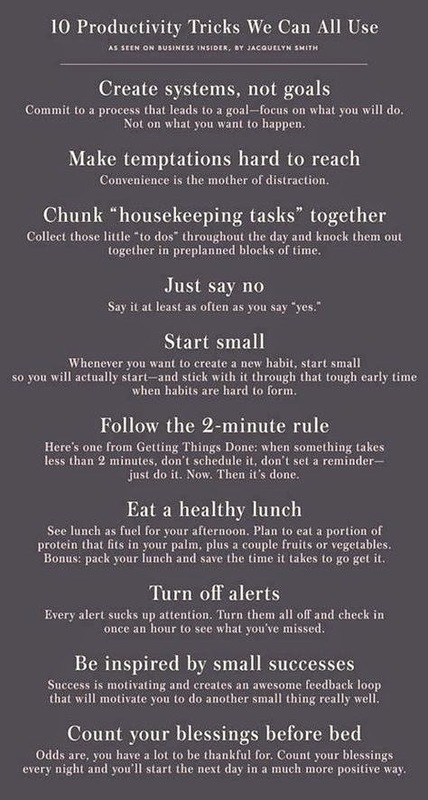 Here are 10 Productivity Tricks that can help us, in all aspects of our lives. I hope you all have a great Friday and enjoy your weekend!